Nightingale Health, the developer of a blood biomarker technology for studying chronic diseases, said today it will analyze the biomarker profiles of 500,000 blood samples from UK Biobank, under a 30-month collaboration the company will fund through a €10 million ($11.6 million) investment in the biorepository. The technology, Nightingale said, will be used to analyze UK Biobank blood samples by measuring metabolic biomarkers that, according to recent studies, are predictive of future risk for heart disease, type 2 diabetes, and many other common chronic diseases. Nightingale’s biomarker profiling technology is designed to measure more than 220 metabolic biomarkers in a single blood test. Using nuclear magnetic resonance and proprietary bioinformatics software, the company determines absolute concentrations for individual biomarkers such as glucose, lipids, and amino acids. Until recently, Nightingale said, technological constraints and prohibitive costs have prevented analysis of comprehensive metabolic data from large-scale biobank collections. Prof. Sir Rory Collins, UK Biobank's principal investigator, said in a statement that Nightingale’s assays, which combine biomarker data and detailed health information contributed by participants in the biorepository, would allow researchers worldwide to advance health research more quickly and generate new insights. UK Biobank was created to improve prevention, diagnosis, and treatment of illnesses that include cancer, heart diseases, stroke, diabetes, arthritis, osteoporosis, eye disorders, depression, and forms of dementia. UK Biobank's samples come from 500,000 adults between ages 40 and 69 who were recruited between 2006 and 2010. The insights to be gleaned from combining biomarker data with health data “will not only be relevant to the British population but also yield groundbreaking science and enhanced drug development opportunities with a global public health impact,” noted Peter Würtz, Ph.D., Nightingale's scientific director and founder. Nightingale said its technology has been previously used to analyze more than 500,000 blood samples from over 200 cohort studies and clinical trials around the globe, with more than 150 peer-reviewed publications detailing how the metabolic biomarker data provided novel insights into health and disease. The company plans to analyze UK Biobank samples at its laboratory in Finland. Following a nine-month exclusivity period for Nightingale, the UK Biobank will incorporate the metabolomic data into its public resource and make it openly available to the scientific community, according to Nightingale. 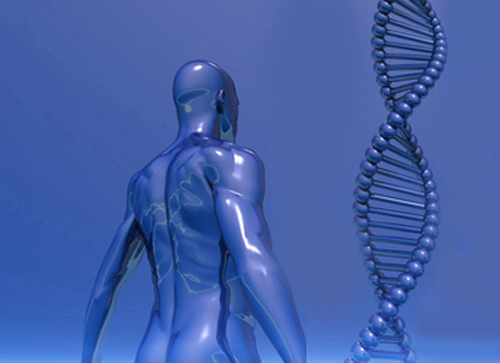 UK Biobank is a nonprofit charity established by the Wellcome Trust, the UK Medical Research Council, the UK Department of Health, the government of Scotland, and the Northwest Regional Development Agency. The collaboration was announced at The UK Biobank Scientific Conference 2018 in London.